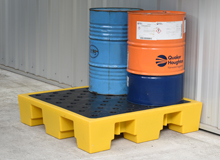 We manufacture plastic and steel spill containment pallets ideal for workshops, warehouses and industrial units of all sizes. 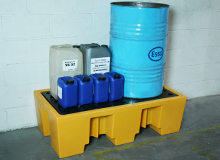 The larger spill pallets have fork-lifting points for easir transportation. 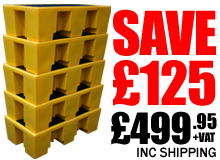 Great secondary containment units, these pallets will support 2, 4 or 8 drums. 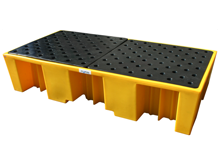 Our plastic spill bunds, pallets and trays are available in yellow or black as standard but other colours can be specified to indicate the chemical stored. 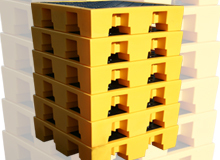 Our steel range is made from high quality sheet steel which is hand finished to a high standard.